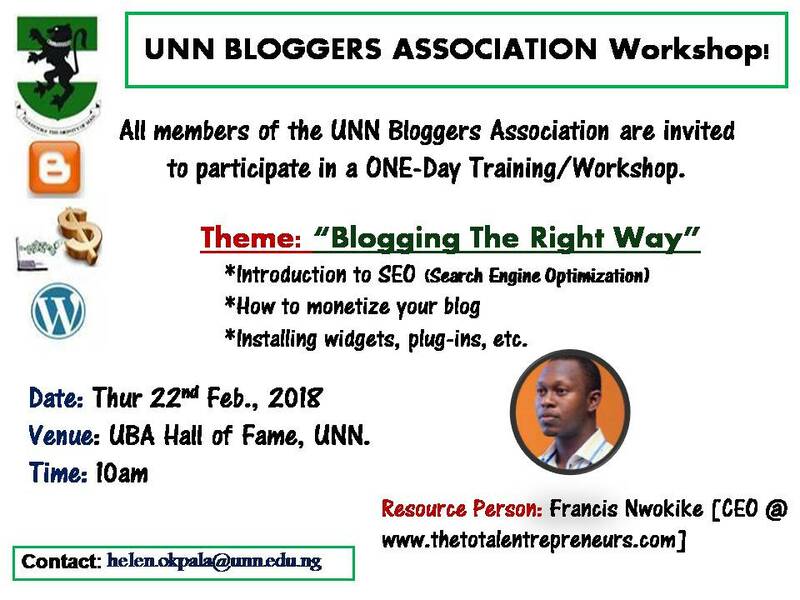 Resource Person: Francis Nwokike – a social entrepreneur, the Founder and Chief Editor of The Total Entrepreneurs.com -an online business blog with focus on entrepreneurship, startups and other business-related news. He is also the CEO of OFRAN investment limited, owners of OFRAN Janitorial Services. Note: To participate in the workshop, you have to join the association by filling this short form: https://goo.gl/forms/S2kVxuF2CzvWR0Pe2 as earlier circulated. A lot of people have joined. Do not be left out!